DJ, producer and label owner Cesare Marchese has had the musical touch since a very young age. Having studied the arts of Classic Guitar, Piano, Bass and percussion, and with a love of Hip Hop, Dub and Drum & Bass, as a young man, he entered into a Sound Engineering course which in turn lead him to House and Techno. Since a 2002 move to London, he has continued to study, produce and DJ. His work has seen him travel the world, sharing the stages and DJ booth with a host of the worlds biggest names. Between his DJ’ing and Producing work, Cesare also manages to control three labels. Mean, Essential Reload and Serialism. Since 2006, his own releases and remixes have appeared on a selection of the finest labels including Resopal, Dumb Unit, Archipel, Sthlm Audio, Multi Vitamins and of course Safari Electronique. 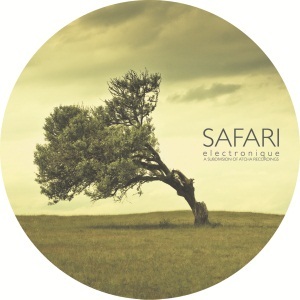 Today Cesare returns to Safari for his debut, full release. The ‘Don’t Leave Me’ EP. The title track with its strutting, techy groove and echoing soulful vocal is a superb partner to the super-long-intro’d and effective bassline of ‘Get On With It.’ On the remix of the flip is Freak n Chic artist Anthony Collins, who creates a pure gem of a rework. Melodic and deep with sparkling keys, strings, synths and a sprinkle of moon-dust. This is extra special. This entry was posted on May 21, 2010 at 06:56 and is filed under Release, Safari Electronique.